In order to integrate Marketo with CallTrackingMetrics, there are a few things that need to be configured properly on the Marketo side to ensure that calls are syncing into the system in the correct format and with the data that you need. 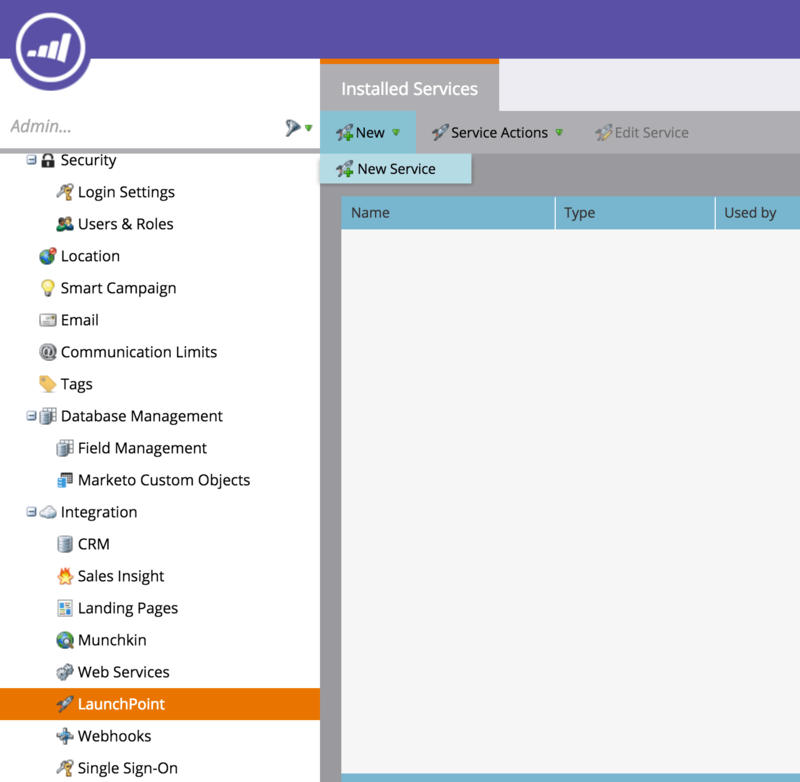 Once you have your Marketo environment set up the way you want it, you can go into CallTrackingMetrics and navigate to the Marketo integration page to link your account. 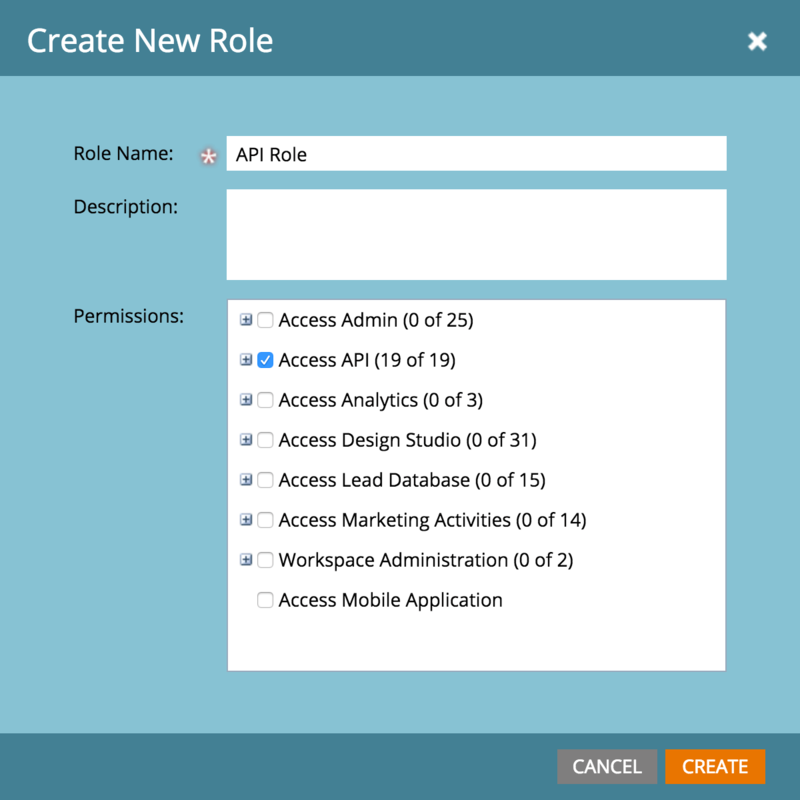 Give the role a name (such as “API Role”), optionally provide a description, then click the box next to “Access API”. Click “Create” to save the role. Provide a name and email address for this user (choose a unique email address so it can be found later), then click the boxes next to “API Role” (or the name you gave to the role earlier) and “API Only”. Click “Invite” to save the user. 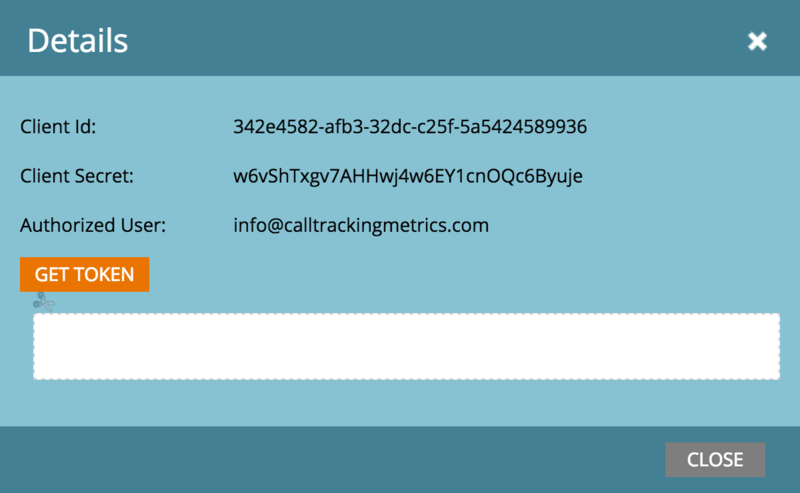 Give the service a name (such as “CallTrackingMetrics”), and set the service type to “Custom”. The description can be anything you want, then the email must match the email you provided for the user invited earlier. You should now be ready to provide CallTrackingMetrics with the information it needs to establish a connection with Marketo. You will enter this information into the CallTrackingMetrics integration page. This requires the Client ID, Client Secret, Domain, and Munchkin ID. 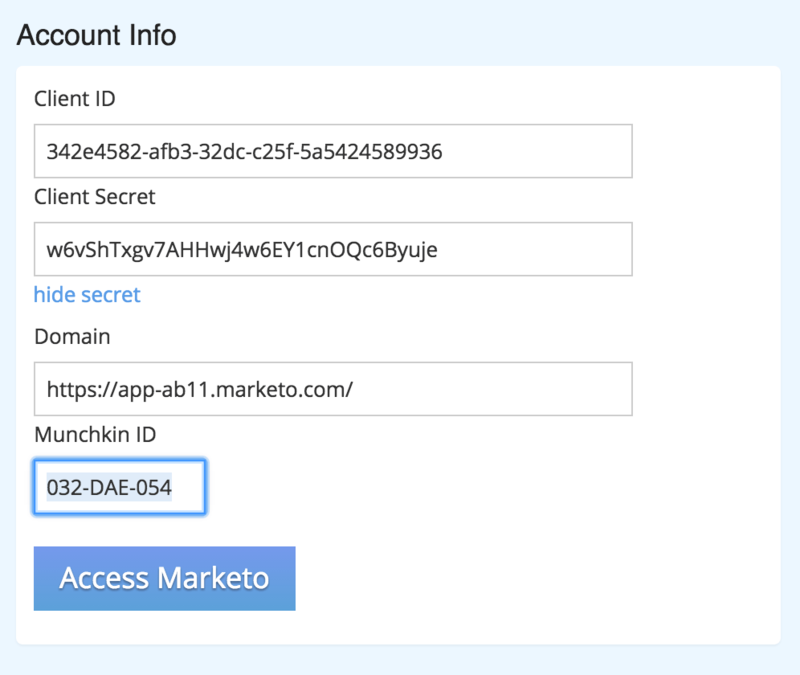 The Domain can be accessed from any Marketo account page. In your address bar, select the text from the start up to “marketo.com/”. This screen contains the Client ID and Client Secret. Enter these values into the Marketo integration page in your CallTrackingMetrics account. Close the dialog, then from the sidebar choose “Admin ▸ Integration ▸ Munchkin”. This page contains the Munchkin ID next to “Munchkin Account ID”. If you ever want to discontinue Marketo integration with CallTrackingMetrics, click the “Unlink Account” button and confirm that you want to disconnect. 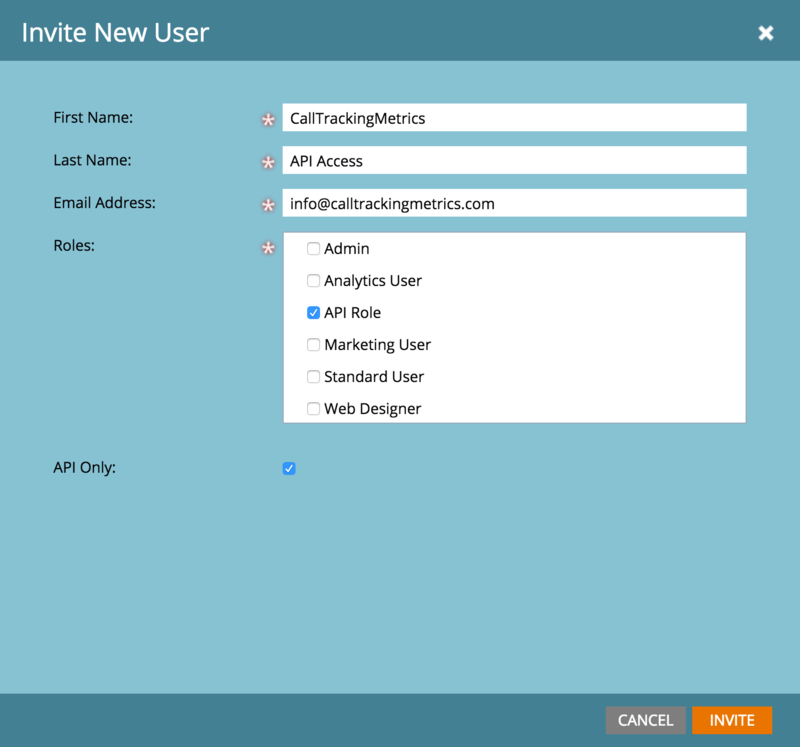 You can temporarily suspend the integration without completely unlinking it by clicking the “Pause Integration” button on the integration page in CallTrackingMetrics. Integration can then be resumed by clicking “Resume Integration”. The integration with Marketo can be further configured to share information on new calls. 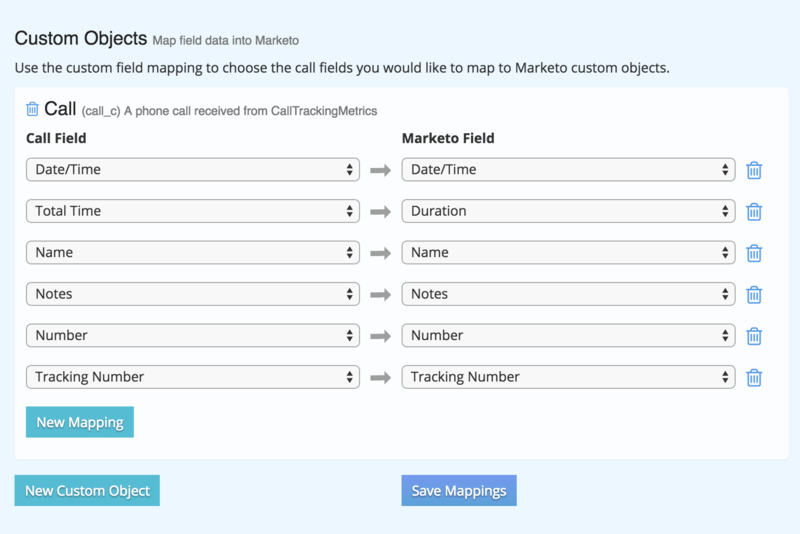 If you want to take advantage of this additional data, you must create one or more custom objects in Marketo, then map field data from CallTrackingMetrics to Marketo. Log in to your Marketo admin account, if you have not yet done so. Give your object a display name (such as “Call”), and optionally provide a description. API Name and Plural Name do not need to be modified. Set “Show In Lead Detail” to “Show“, then click “Save”. Click the “Fields” tab at the top of the page. Right-click the custom object in the list on the right, then select “Publish Object“. Once you have your custom object(s) created in Marketo, mapping data to them in CallTrackingMetrics is actually quite easy! We attempt to handle all of the heavy lifting for you by guessing how you wanted to map the data fields into your Marketo custom objects, and making changes is fast and simple. 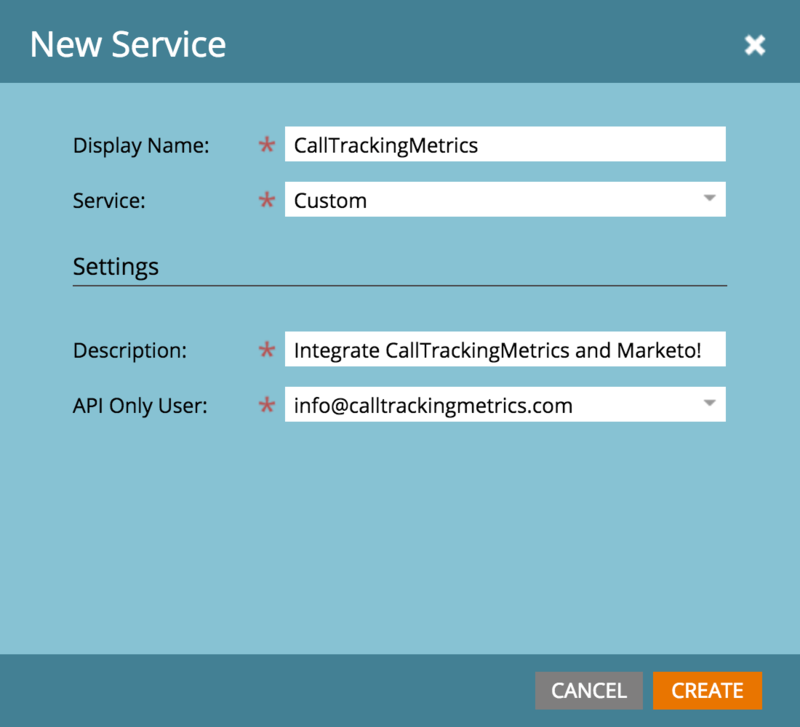 In the Marketo Integration page in CallTrackingMetrcs, scroll down to the “Custom Objects” section and click the “New Custom Object” button. Select the object you want to use for integration, and click the “Add Object” button. Verify that the mappings CallTrackingMetrics added for you are correct. If the provided mappings were not correct, you may add new mappings using the “New Mapping” button and remove them by clicking the blue trash icon next to each row. To remove a custom object, click the blue trash icon next to it. Once your custom mappings are all implemented, click the “Save Mappings” button to save your changes. For general troubleshooting, CallTrackingMetrics provides detailed integration logs showing all significant changes to the integration settings and all errors that occurred during syncing. To access this feature, visit the Marketo Integration page, then click the “Integration Logs” button. If you need additional assistance, feel free to contact us at info@calltrackingmetrics.com and we will be happy to help.